As with any region, the vitality of the St. Croix Valley is defined by our ability to look the future in the eye and respond in ways that enrich the lives of those who live, work, play and create here. ArtReach St. Croix in collaboration with Arts Midwest came together with leaders from across sectors in a series of five sequential retreats, with the purpose of building a coalition to amplify the work that is happening at the intersection of arts and nature. Navigate retreats are centered on dialogue and design work toward development of a strategic course document. 5. Create a Strategic Course document as a product to guide the collaborative as it moves forward. The five session series took place at locations throughout the St. Croix Valley. This opportunity was generously funded by The Saint Paul Foundation, Mardag Foundation, Bigelow Foundation, The McKnight Foundation, the Bush Foundation, and Arts Midwest. Additional funding was provided by the Hugh J. Andersen Foundation, Fred C. and Katherine B. Andersen Foundation, the Water Street Inn, and ArtReach St. Croix. 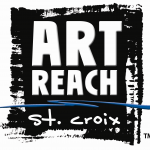 ArtReach St. Croix connects communities and the arts in the scenic St. Croix River Valley and boldly envisions the St. Croix River Valley as a national destination for the arts. Arts Midwest promotes creativity, nurtures cultural leadership, and engages people in meaningful art experiences, bringing vitality to Midwest communities and enriching people’s lives. A regional arts service organization headquartered in Minneapolis, Arts Midwest services audiences, arts organizations, and artists throughout the nine states of Illinois, Indiana, Iowa, Michigan, Minnesota, North Dakota, Ohio, South Dakota, Wisconsin, and beyond.